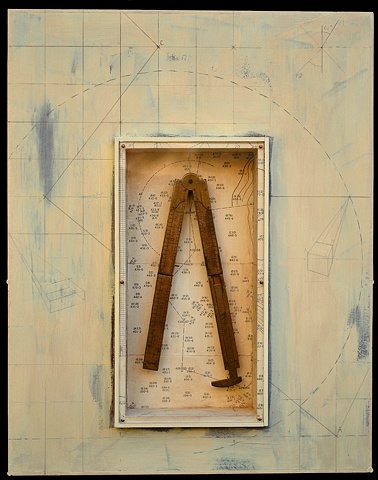 This piece features a carpenters slide rule, circa 1825 - 1860. This boxwood folding rule has scales for calculating the volume of wood and the price of a load (50 cubic feet) at various prices per cubic foot. It made of wood and brass. 14 3/16" x 11 3/16" x 2 3/8" d.